I've just returned from a quick trip to Raine Island in far north Queensland to tick the Herald Petrel. This is one of Australia's rarest breeding seabirds, with a total population of 20 birds. That's ten breeding pairs, all on Raine Island. Herald Petrels also nest elsewhere (such as Tonga, New Caledonia, Samoa and Pitcairn Island) but for Australia, the only known breeding birds are on Raine Island. The chances of seeing one on any routine pelagic are very close to nil. The exceptions that prove the rule were (would you believe?) two sightings in March 2015 - one from Eden, and one on a Gold Coast Seamount trip. 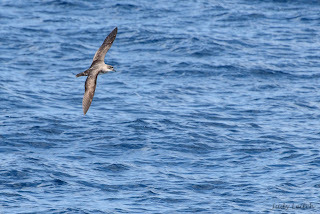 Herald Petrels like deep water and most ordinary pelagics don't get out that far. Richard Baxter ran three back-to-back trips out of Portland Roads on the fishing charter boat Eclipse. 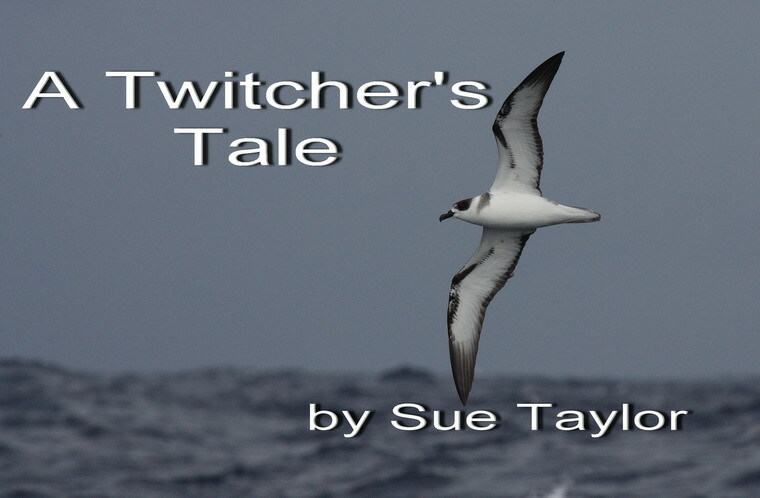 The first trip was extremely rough and they saw just one Herald Petrel. The second trip was not quite so bumpy and they saw seven petrels. I was on the third trip. For us, conditions were perfect. 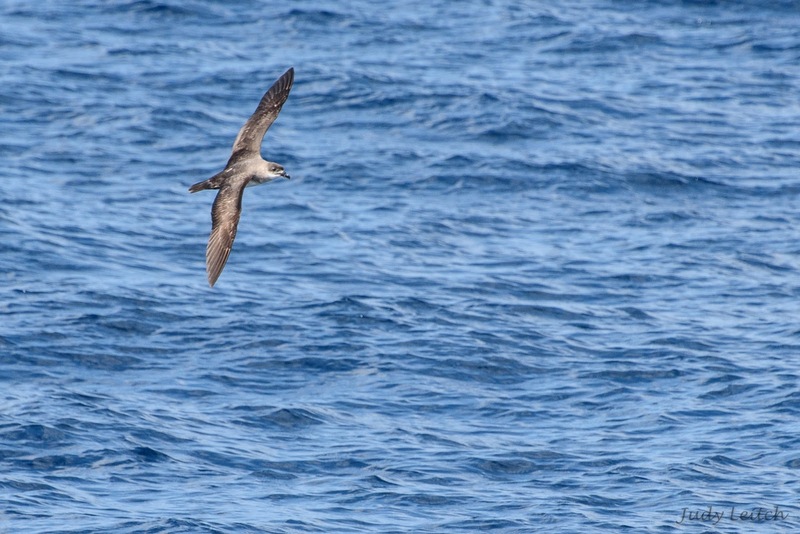 We all had magnificent views of the petrel on the second day. The bird sat on the water not ten metres from the boat. Then it flew towards us, inspected us individually with a critical eye, then, apparently satisfied, flew off never to be seen again. We were all very pleased with ourselves, grinning stupidly as if we'd achieved something special. Which indeed we had. It was a good thing we got good views, because that was the only petrel for the entire trip that graced us with its presence. Raine Island is quite small: I reckon I could walk around it in half an hour. That's if I were allowed on it. People are not permitted closer than 500 metres from this protected island. It is home to thousands of Lesser Frigatebirds, hundreds of Black and Brown Noddies and scores of Brown Boobies. There's also a scattering of Red-footed and Masked Boobies, Red-tailed Tropicbirds and Sooty Terns. We saw a couple of Buff-banded Rail, some Silver Gulls and a Masked Lapwing. That's about it. The bird list for the entire four day trip was not large. Sometimes we'd go for an hour without seeing a bird. We saw some dolphins and others saw some cetaceans. 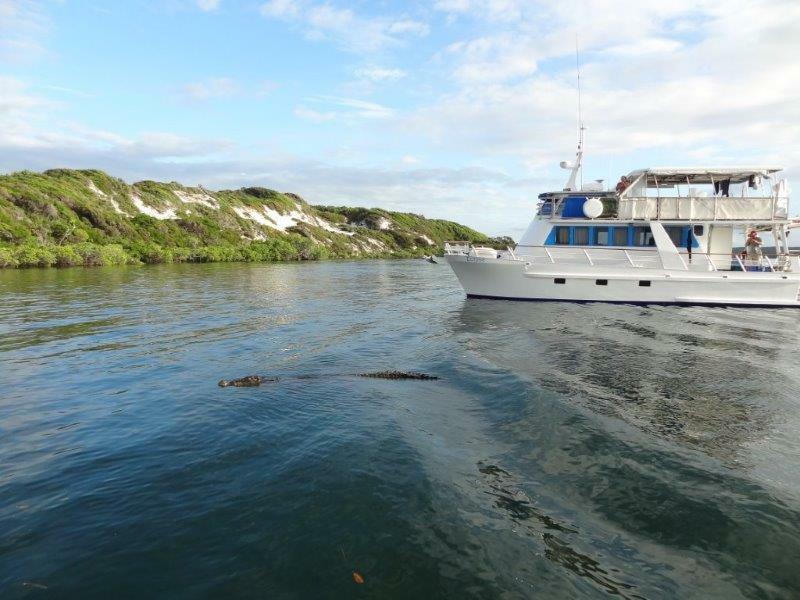 After the Herald Petrel, the most spectacular sighting was on the fourth day when over 2,500 Black Noddies flew past the boat. Perhaps 60-80 birds were rafting on the water, while others flew on determinedly. Suddenly they were joined by about a hundred Black-naped Terns, putting on a fantastic foraging display right in front of us. They wheeled and turned, and splashed and rose, ethereal and beautiful. Truly a breathtaking experience. On the first day I thought I saw a Leach's Storm-Petrel. It looked like a Welcome Swallow hovering over the water, then it disappeared before anyone else saw it, let alone pointed a camera towards it. 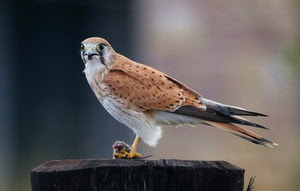 I find these unidentified glimpses more frustrating than not seeing a bird at all. We did see Wilson's and Black-bellied Storm-Petrels. 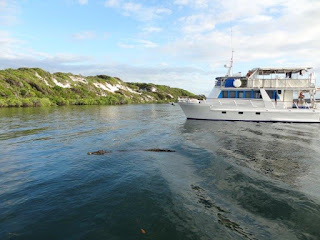 We boarded the boat on Friday afternoon, and returned to Portland Roads on Tuesday morning, having travelled a total of 315 nautical miles. We each thought ourselves pretty clever, having ticked Australia's rarest breeding seabird.